The M80 Series provides 50% more protection for your car than other Mongoose systems with its triple circuit immobilisation PLUS full alarm features. 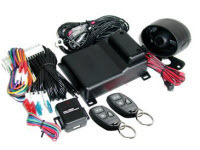 We now include as standard a 1 to 5 minute turbo timer, blue dashboard LED and new design 3 button remote controls. Certified to AS/NZS4601 amendment 1 2003 and AS/NZS3749.1 2003 Class B. 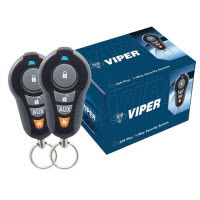 Using the brilliant M80i triple automatic immobiliser, this security system provides excellent extra protection for your car. 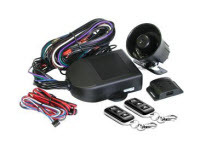 The M60 series is one of our best selling security systems. Just have a look at the features - it's a model that won't disappoint. We now include as standard a 1 to 5 minute turbo timer, blue dashboard LED and new design 3 button remote controls. The M60S are fully featured alarms with automatic dual immobilisers with a built-in programmable 1 to 5 minute turbo timer, new 3-button remote control and a blue warning LED. The Mongoose STRIKER MCA500 is a compact simple to use yet well featured motorcycle / scooter / quad bike alarm system. The Mongoose STRIKER MCA500 is a compact simple to use yet well featured motorcycle / scooter /quad bike alarm system. The STRIKER is more than just an alarm and an immobiliser; it offers convenience features that make the use of your motorcycle more enjoyable. An optional extra cost feature is the remote engine starter - just the press of a button on the remote and your engine warms up automatically - assuming of course your bike has electric start - and if you don't ride it, the engine automatically stops after 5 minutes.